Kurt Busch started eighth and finished ninth to score two bonus points. The No. 41 Haas Automation Ford Fusion was eighth when, under caution on lap 32, Busch pitted for four tires, fuel and wedge adjustment. Busch started ninth and finished seventh, scoring four bonus points. The No. 41 Haas Automation Ford Fusion pitted on lap 82 for four tires, fuel and a wedge and tire pressure adjustment. Busch was in sixth place when he pitted on lap 123 for four tires and fuel. Busch started eighth and finished eighth. The No. 41 Haas Automation Ford Fusion pitted on lap 163 for four tires, fuel and a tire pressure adjustment. Busch pitted on lap 212 for four tires, fuel and a tire pressure and wedge adjustment while in ninth place. The No. 41 Haas Automation Ford team pitted on lap 239 and lap 247 for four tires and fuel. He ended up in eighth place. This was Busch’s sixth top-10 of 2018. Busch earned his ninth top-10 in 25 career Cup Series starts at Kansas. 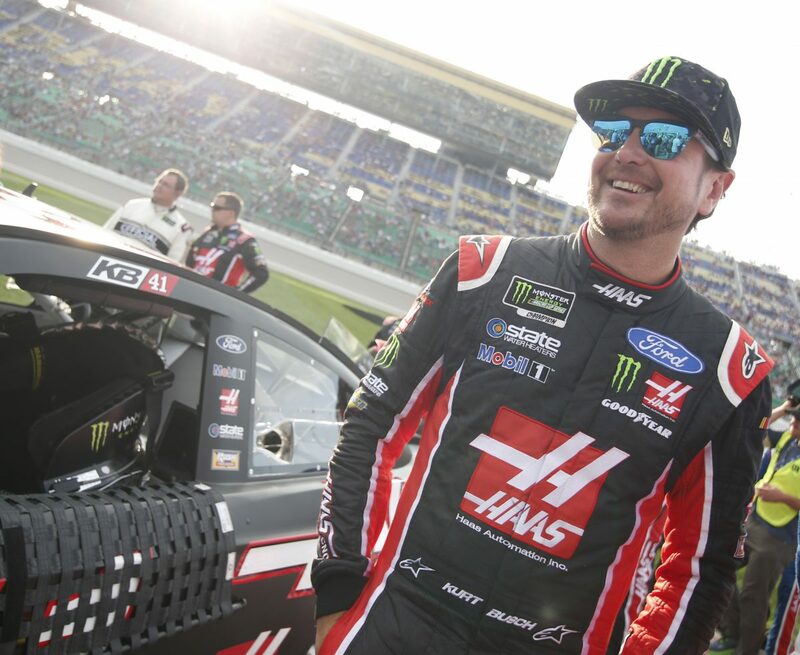 Busch finished ninth in Stage 1 to earn two bonus points and seventh in Stage 2 to earn an additional four bonus points. Kevin Harvick won the KC Masterpiece 400 to score his fifth victory, ninth top-five and 10th top-10 finish of 2018. Harvick’s fifth win this year matches the most he has won in any single season – and 24 races still remain in 2018. Harvick is the first driver to notch five wins in the first 12 races of the season since Jeff Gordon in 1997. Gordon went on to win the championship in 1997. Harvick earned his third victory, eighth top-five and 14th top-10 in 25 career Cup Series starts at Kansas. Harvick’s margin of victory over second-place Martin Truex Jr., was .390 of a second. There were six caution periods for a total of 31 laps. Only 15 of the 38 drivers in the KC Masterpiece finished on the lead lap. The next event on the Monster Energy NASCAR Cup Series schedule is the Monster Energy NASCAR Cup Series All-Star Race on Saturday, May 19 at Charlotte Motor Speedway. The race starts at 8 p.m. EDT with live coverage provided by FS1 beginning with a prerace show at 6 p.m.